The forward, who has had quite a career, said the large group of Brazilian faces, and the coaching staff that was familiar faces helped him decide to join them, though he added that Barcelona also had a similar mix of players he knew at the time, and were interested. What swung it at the time was the fact that Robinho would be playing in the massive Bernabeu stadium on a weekly basis – as a child he had always dreamed of playeing there rather than in the Maracana or the Camp Nou. Barely a day after landing in Madrid, Robinho made his debut, and what a performance it was! He was only 21-year old but he dazzled in the team that had stars like Raul, Zinedine Zidane, Ronaldo (the Brazilian), and other stars. Despite being “a kid” in the dressing room, Robinho said his teammates looked after him and helped him settle faster. The Galacticos at the time were the top tips for every football tournament they played in, and multiple Champions League and La Liga victories prove that as well as the star quality, they had the grit and determination to see the job through to the bitter end – and it’s an unbeatable mix! Robinho started out at Santos before Madrid gave his start on the pathway to becoming one of the best of European football. 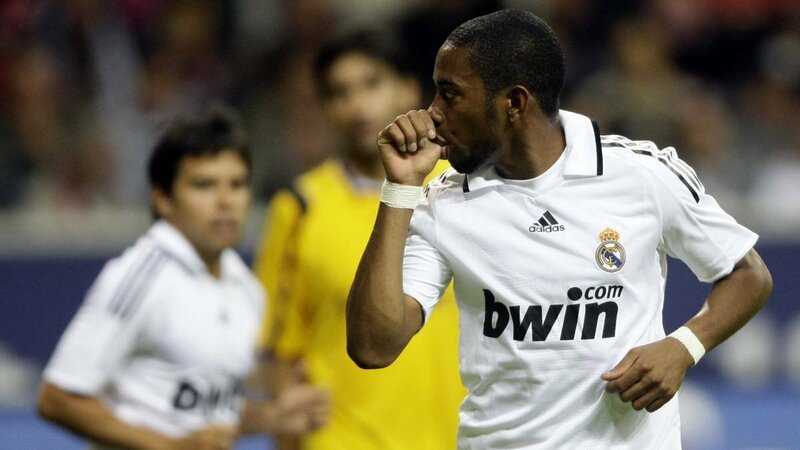 Robinho doesn’t regret leaving Madrid but he is not happy he fell out with them. Manchester City signed him in 2008, on transfer deadline day, despite Chelsea being set to unveil him. He wanted to join Chelsea, especially to link up with compatriot manager Luis Felipe Scolari, and had even started selling shirts with his name on (before the deal was announced). However, Madrid wanted to sell him to a team that wasn’t in the Champions League for rivalry sake so Man City ended up being Robinho’s new employer. A glorious career that took in Man City, Santos, AC Milan and a stint in China followed, and he now finds himself enjoying his time in Turkey, as his illustrious career winds down. He has travelled quite far and wide, and enjoyed successes, fame and wealth all along.